Founder, Chairman and CEO of the MBI Group, Sheikh Mohamed Bin Issa Al Jaber, is now listed at #16 on the Sunday Times Rich List. 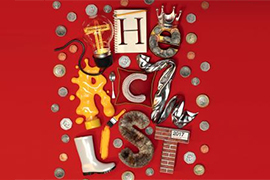 On the 7th May 2017, the Sunday Times released their Rich List. H.E Sheikh Mohamed Bin Issa Al Jaber is positioned at #16, with a reported increase of £923 million from 2016.